Our friend and long time Cowden fan Ben Conway has been in hospital after being taken ill recently. We send very best wishes and get well soon messages from everyone at Central Park to Ben and we are sure our fans will readily echo these sentiments. The Roll of Honour for Club 135 on line will be updated within the next week or so. The official Board bearing all the names at Central Park is now being designed and will soon be put in place. Central Park hosted North Queensferry Boys Club on Wednesday evening. 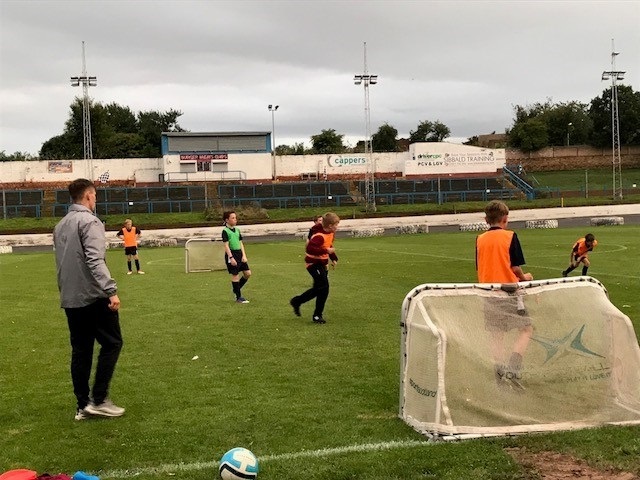 The Club participates in the local SYFA league and Cowden Community Coach Calum Honeyman put 25 boys through their paces in a training session. The Club Chairman Roddy Dalziel is well known at Central Park as a sponsor and provider of energy services through his company European Utility Consultants. Cowdenbeath FC send the boys best wishes for the season and beyond.